Good morning, dear friends! Today we are making a delicious spread made of almonds! It is so flavourful that we devoured it in a few hours! It is packed with protein since its main ingredient is almond. 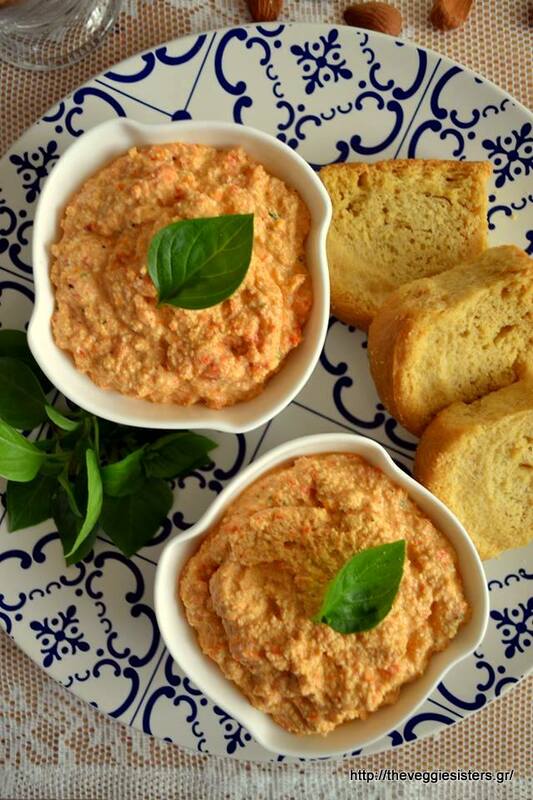 It is easy and quick to make and tastes heavenly either spread on bread or toasts. 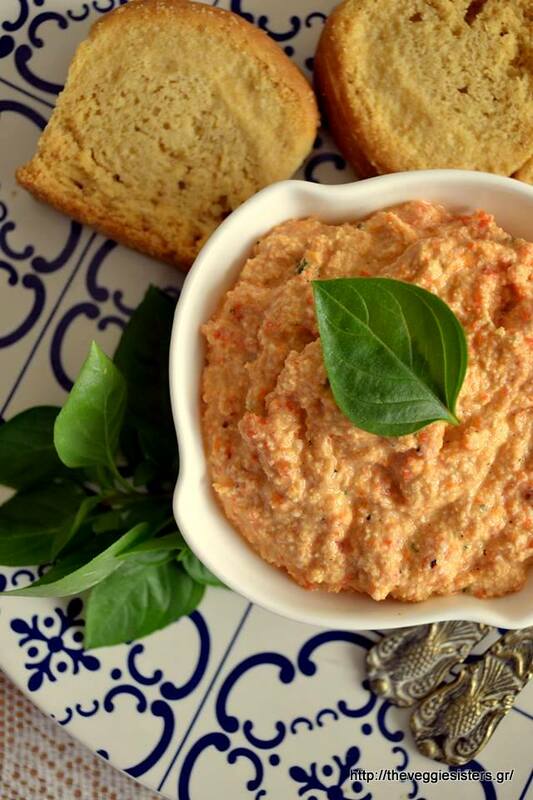 This mediterranean sunflower seed cream and this cashew cream were my inspiration for this spread. My conclusion is that you can make fantastic «cheesy» spreads out of nuts and seeds! All three of them are worth trying! Kisses and hugs, friends! I wish you a happy weekend! I hope my baby boy will allow us to get some sleep the foollowing days! Take care everyone! Rinse soaked almonds and peel thei skins off. Put them in a blender and pulse them until creamy. Then pour olive oil and balsamic cream. Pulse again. Add the rest of the ingredients and pulse one last time until well combined. Serve in a bowl. Enjoy! 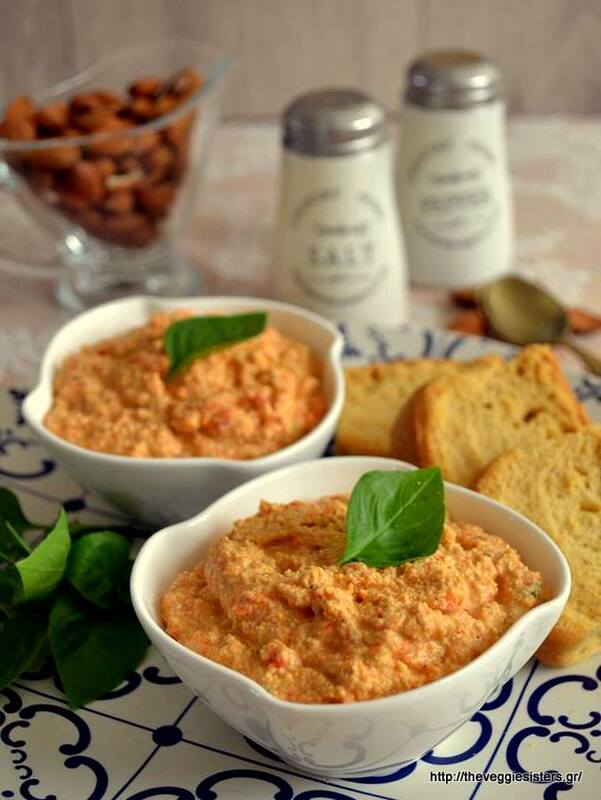 Share the post "Savoury almond spread"
I love this recipe, will try my next hummus with almonds! Thank you, dear Ashley! It tastes fantastic! Trust me! Kisses from Greece!! !